Helping dealerships stand out among the competition for over 20 years! Finding essential car dealership supplies all in one place has never been easier than with revprint.net. 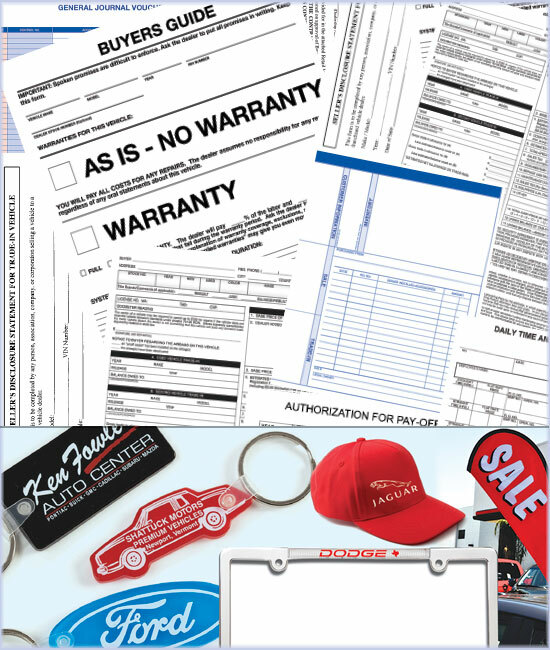 We carry auto dealer products for every department of your dealership including car bows, vehicle inspection forms, oil change stickers, customized forms, auto decals and everything you need to run a successful dealership. From the lot to the showroom, we have the promotional products to make your business stand out including latex balloons, license plate frames, vinyl banners and more.